Zhejiang Huarui Information Consulting Co, Ltd. (CCFGroup.com) will hold 2016 Imported Yarn Forum during June 15-17, 2016 in Hangzhou, China. We are looking forward to meeting you in Hangzhou! How cotton yarn import status will alter with narrowing price spread between Chinese and international cotton, and how should we cope with? Will the dominant role of India be shaken among cotton yarn suppliers for China? What opportunity does quality cotton yarn like Indonesian and US cotton yarn embrace? Vietnamese cotton yarn keeps flooding into China, while Vietnam is a hot investment region for Chinese companies. Will Vietnam take more chances in 2016? Will overseas investment more promising in 2016? How RMB exchange rate will fare after being included in SDR basket? Bonus policy for cotton textile industry successively increases in Xinjiang, are you ready? How can upstream and downstream sectors realize effective resource match and achieve win-win status in Xinjiang? 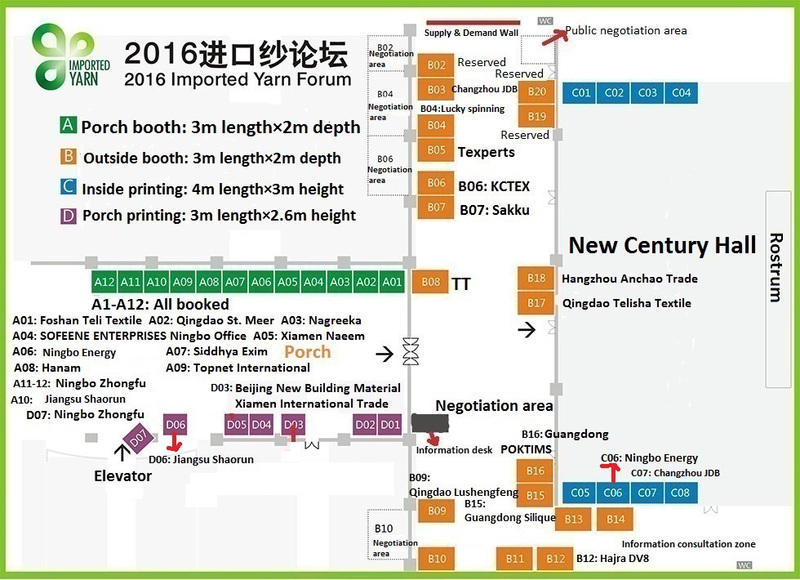 Zhejiang Huarui Information Consulting Co., Ltd (www.ccfgroup.com and www.tteb.com) will host “2016 Imported Yarn Forum” in New Century Grand Hotel Hangzhou China during Jun 15-17, 2016.